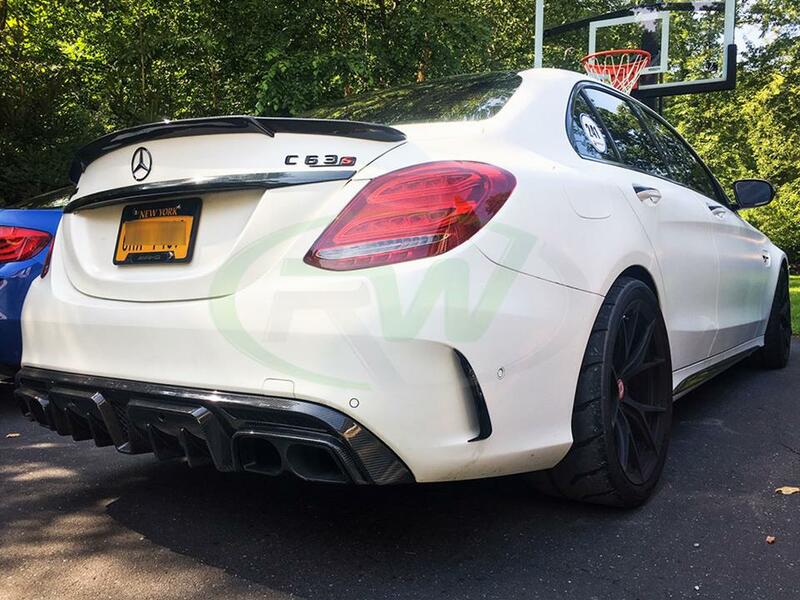 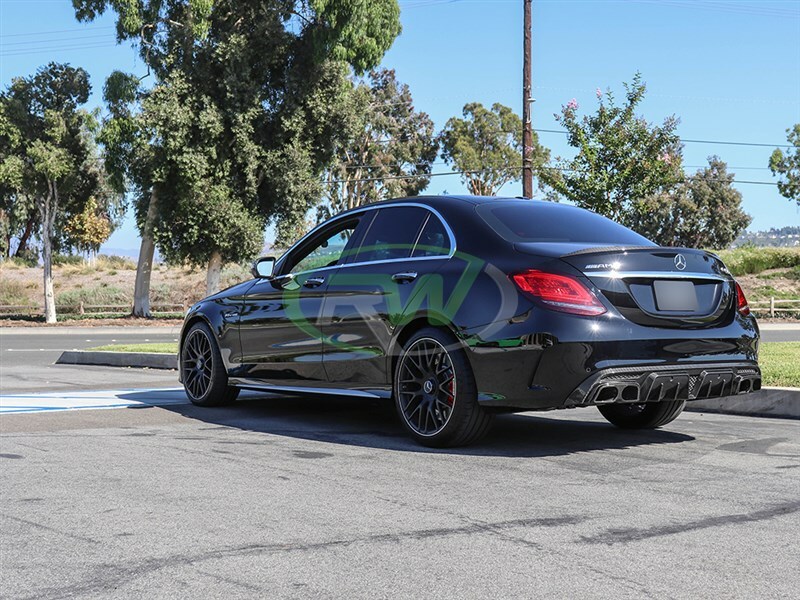 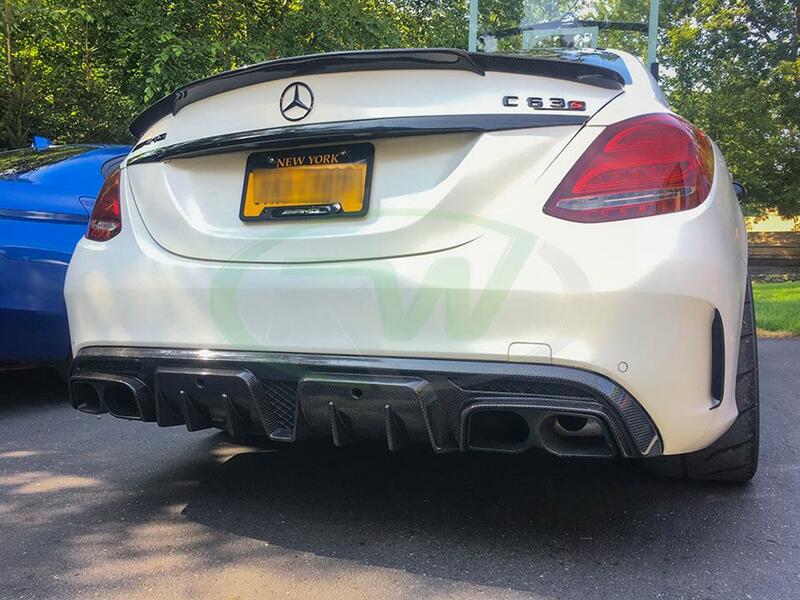 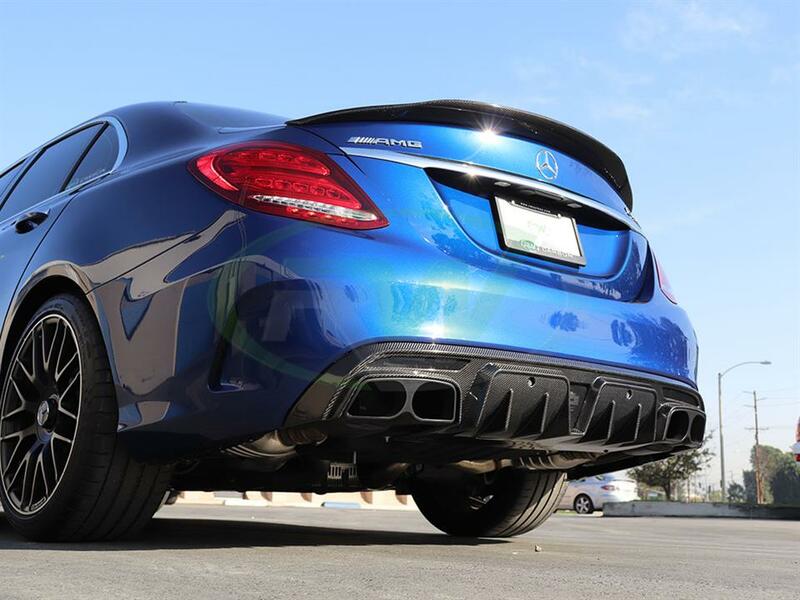 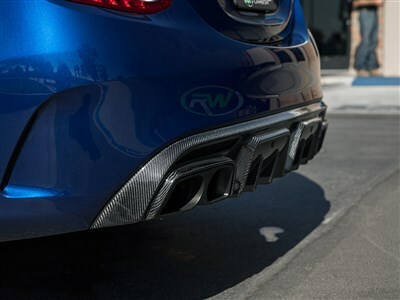 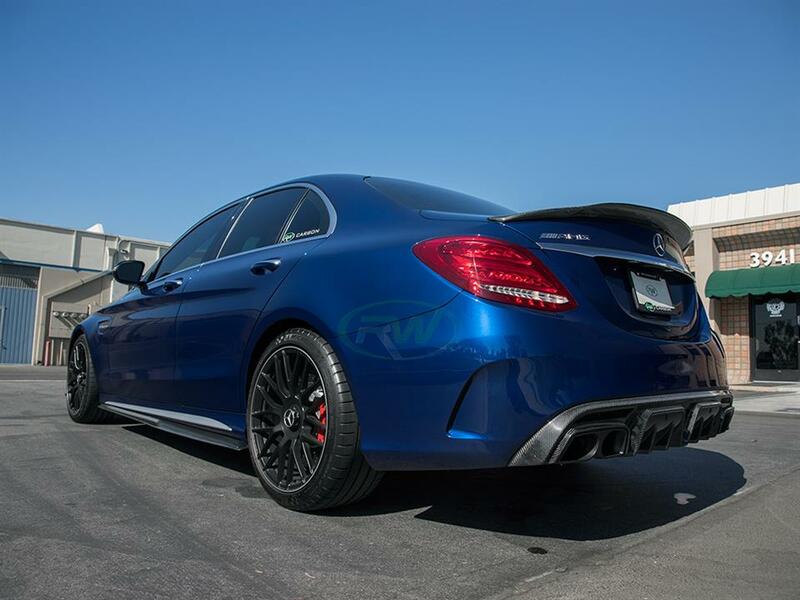 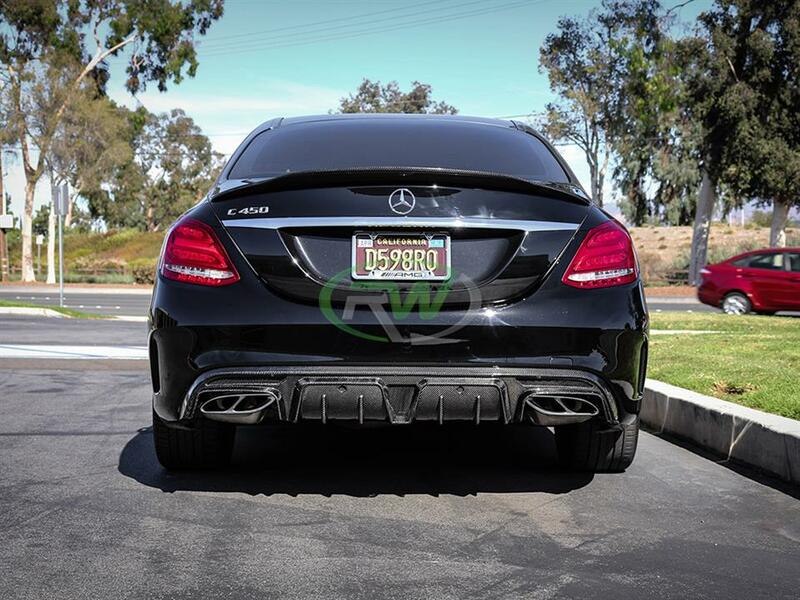 RW Carbon is proud to announce the release of our second carbon fiber rear diffuser for the Mercedes W205 C63 AMG models. 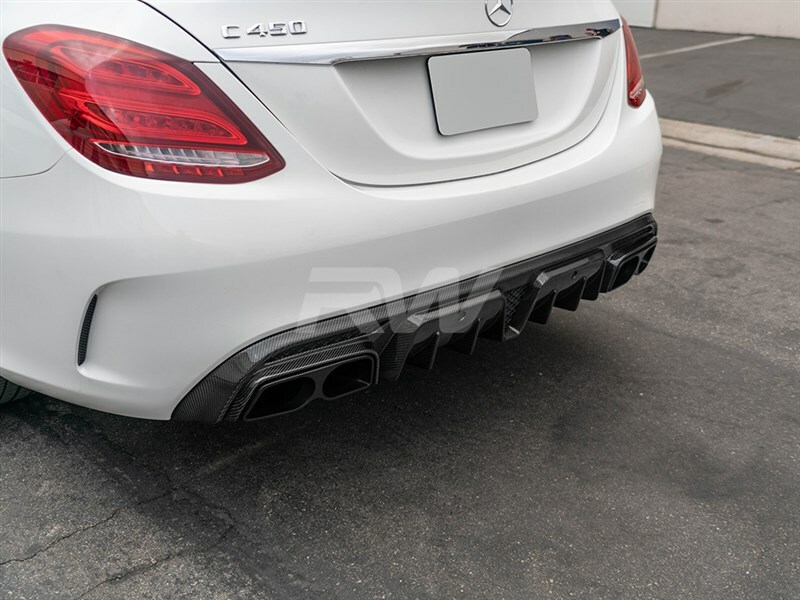 This Brabus Style diffuser is constructed out of 100% genuine carbon fiber fabric which makes it very lightweight and a strong. 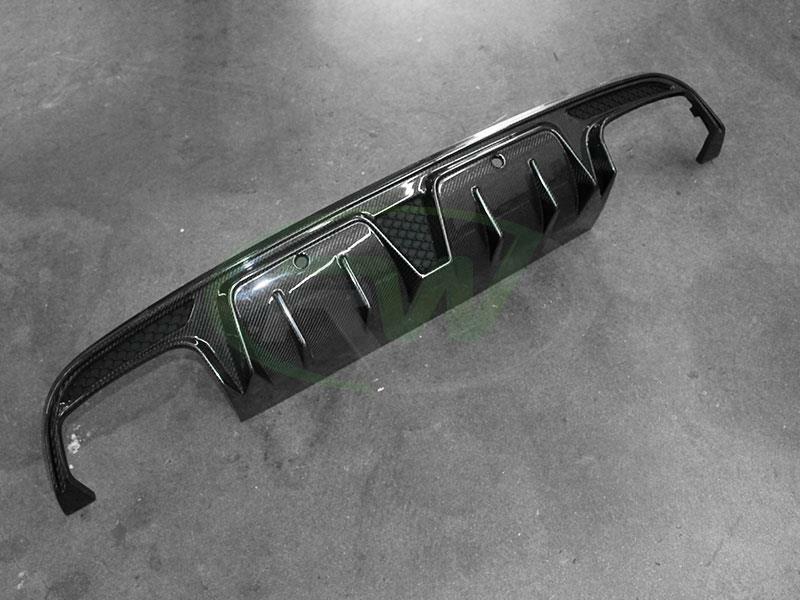 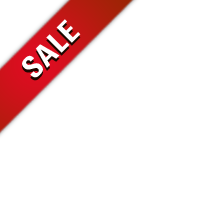 Here at RW Carbon we promise you a great quality product at a reasonable price. 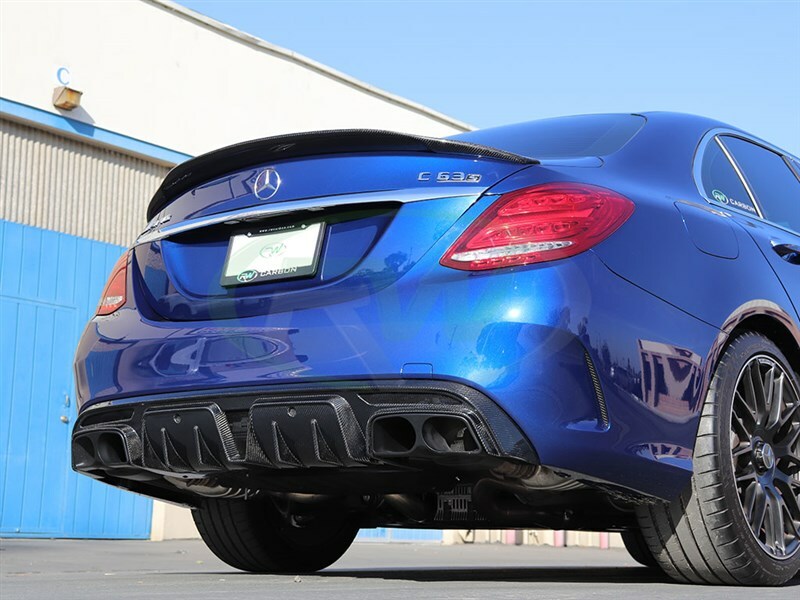 We quality check every piece prior to shipping to make sure it is free of defects and is then shipped it worldwide from our SoCal facility. 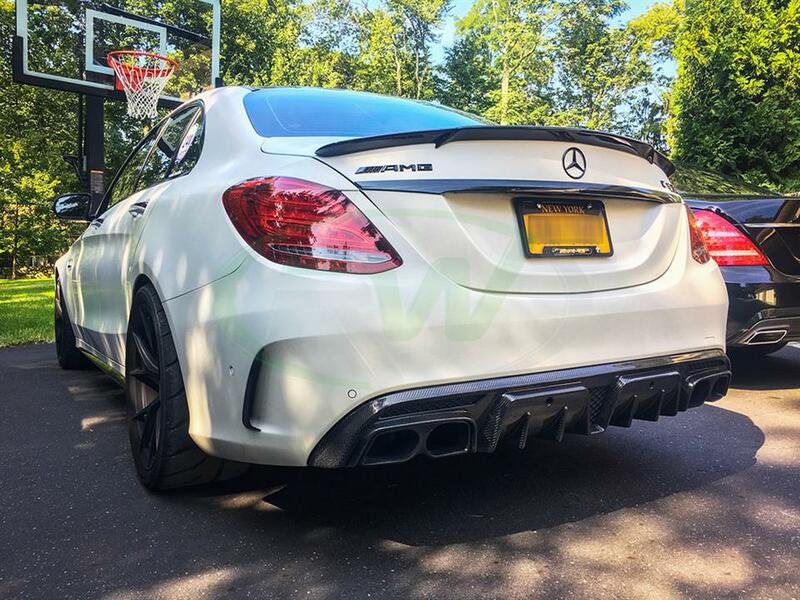 This Brabus Style Diffuser will add a great new aggressive appearance to your C63 or C63s that will have every auto enthusiast gawking at your ride. 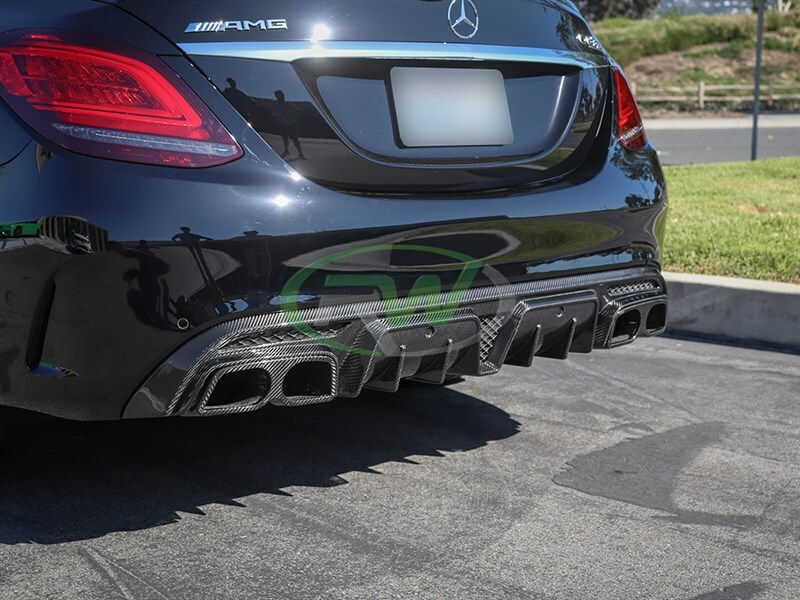 This Brabus styled diffuser for the Mercedes W205 is rated as difficult. 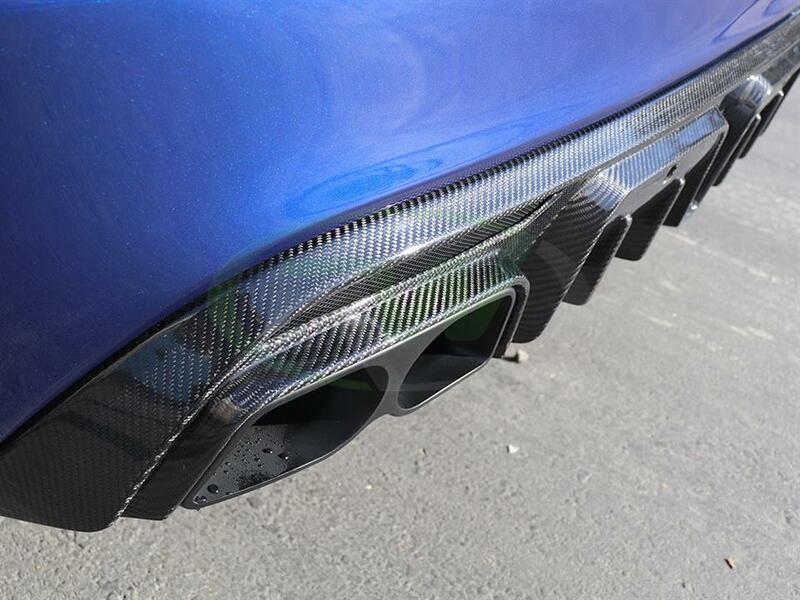 The rear bumper will need to be removed and the parking sensors will need to be transferred over. 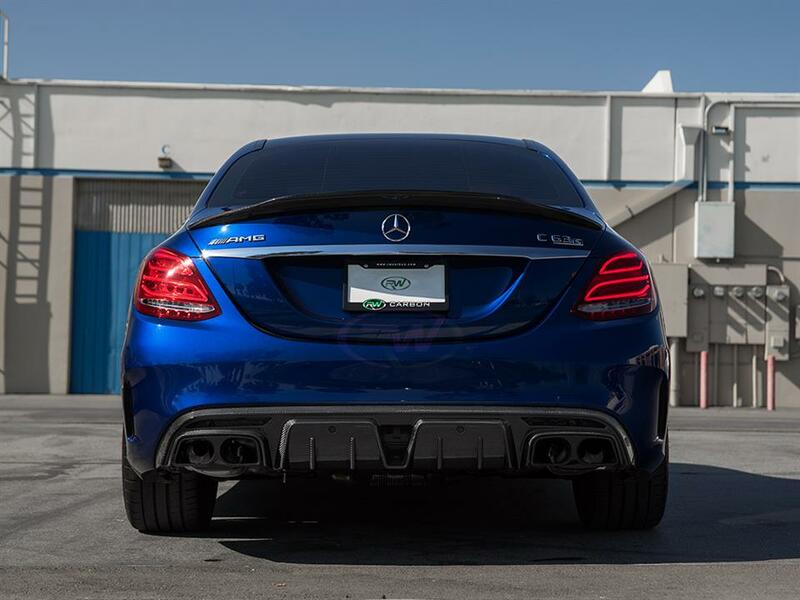 Professional installation is recommend. 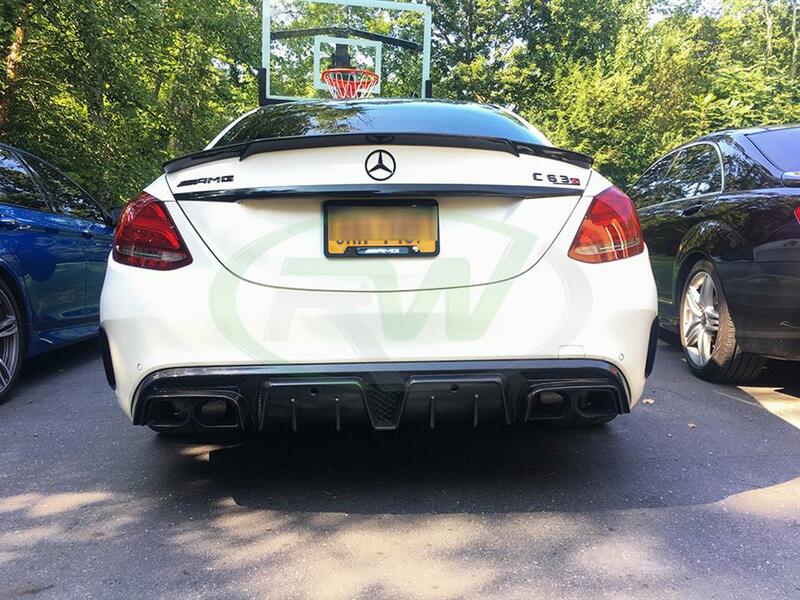 I have had 3 different diffusers for my C63 and this is by far my favorite. The design and perfect and the fitment from rw carbon is outstanding.